BAXT CosMedical® offers RADIESSE®, and BELOTERO BALANCE®. Both products are manufactured by Merz Aesthetics and are dermal fillers that are FDA-approved to smooth moderate-to-severe facial wrinkles and folds, such as nasolabial folds. RADIESSE® is also used to correct volume loss in the back of the hands. The loss of volume in your face is one of the first signs of aging. We all want to have young skin as long as possible. However, age does rob our skin of the collagen that gives the volume, flexibility, and strength to maintain healthy and youthful skin. Also, the external elements of the sun and harsh weather contribute to aging the skin. RADIESSE® is an effective, long-lasting, and safe facial filler. Results may vary on different patients. If you are interested in learning more about RADIESSE® for facial and hand rejuvenations, we recommend you contact our office today to set up a personalized consultation with Dr. Rebecca Baxt or Dr. Saida Baxt to see if you are a good candidate for RADIESSE®. Why Should You Select BAXT CosMedical® for Your RADIESSE® Injections? With the increased popularity for anti-aging and cosmetic facial rejuvenation procedures, the use of facial fillers has exploded. Due to this demand, many physicians and nurses are taking weekend courses on where to and how to inject dermal fillers. But, should you trust your face to an injector with limited training? Would the wiser choice be to select a board certified dermatologist who has spent years of education and training specializing in the area of medicine concerned with the health and diseases of the skin and hair, nails, and mucous membranes? A dermatologist is a specialist who understands skin and facial anatomy. Dr. Rebecca Baxt and Dr. Saida Baxt are board certified dermatologists who have specialized education, training, years of experience, thousands of satisfied patients, and a history and tradition of providing honest consultations and natural results. If you are looking to refresh your appearance and want excellent results, schedule a consultation with Dr. Rebecca Baxt or Dr. Saida Baxt. Both are board certified dermatologists and each can help you to determine which facial filler will best achieve your facial enhancement goals. Dr. Rebecca Baxt and Dr. Saida Baxt advise their facial rejuvenation that RADIESSE® and BELOTERO BALANCE® fillers can help correct facial lines and wrinkles, plus RADIESSE® can rejuvenate aging hands! 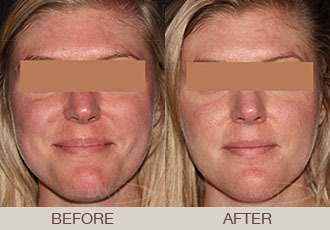 We invite you to schedule your consultation to determine what facial filler is right for you. Trust your facial renewal to our board certified dermatologists who are expert injectors. For Unmatched Expert Non-Surgical Face and Hand Rejuvenation with Facial Fillers, Contact Us Today! At BAXT CosMedical® Cosmetic and Medical Dermatology Laser Surgery Center, we deliver outstanding patient care and excellent customer service with the best technology available. We provide honest consultations and natural results. Schedule your consultation by contacting us online or by calling 201-265-1300 today. *Results may vary for different patients and are not guaranteed.